Any commercial building would need many different quality door locks. Great caution should be made to install the finest locks for office doors, fire doors, entryways, restrooms, utility cabinets and every place within the building where privacy and accessibility need to be controlled. You should take time to discuss with the contractor on the different types of commercial locks available to fulfill all the security requirements. The outdoor entrances of the building can be fixed with a variety of deadbolt or different type of commercial locks. 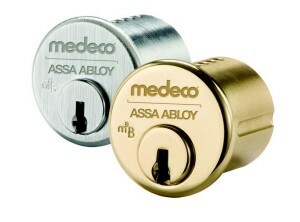 The type of security needed will determine whether you should use heavy duty or standard commercial locks construction. A standard commercial deadbolt works nicely for office buildings. However, heavy duty commercial deadbolts will provide you with the utmost security. You should look for a reliable Colorado Springs locksmith that understands commercial locks very well. He should be able to use a lock construction that includes a concealed wood frame reinforce to prevent kick-in. You will likely need to match a cylindrical lock with a deadbolt allowing for easy entrance. Your options include knob locks and lever design locks. A heavy duty lever lock works for factories, hospitals as well as schools. Commercial buildings with lesser strict security needs can go for medium duty or standard lever commercial locks. Some lever locks can also be used on 3-hour fire doors. In addition, door knob locks are obtainable in heavy duty and medium designs. 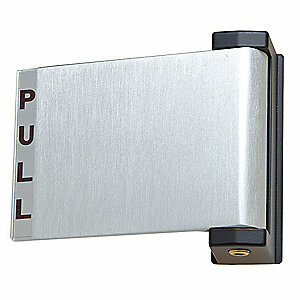 You can use the knob locks for the interior doors of your commercial building. One of the best choices for exterior doors of hotels, offices and light-duty commercial buildings are interconnected locks. These locks are referred to as interconnected because the disabled compliant handles unlatch both the deadbolt and the handset when it is depressed. A good interconnected lock will come with a reinforced deadbolt strike in order to not to allow any intruder to kick the door open from outside. Regardless of the type of commercial locks needed in a building, most lock manufacturers offer various finishes that can be fitted across all styles. This will allow for a consistent aesthetic appeal all over the building. When you need your commercial locks changed for your store or business, call Colorado Springs Locksmith! We are fast and affordable 24 hour mobile locksmith and ready to serve you 24 hours a day! Call Us Now! For professional locksmith service and low rates!